What a joy to think that soon we will have another American-born Catholic saint in Fr. 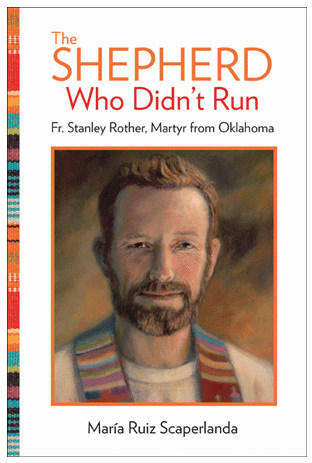 Stanley Rother! The beatification will take place this September in Oklahoma City, OK. I discuss this at length with an expert on the biography of Fr. Rother, author and blogger María Ruiz Scaperlanda. Join us for this latest episode and you’ll also learn from the 13th century writings of St. Marguerite d’Oingt of France. Send your comments or prayer intentions to Pat Gohn at amongwomenpodcast@me.com, or to the Among Women podcast facebook page. Or follow Pat on Twitter at @PatGohn or @among_women. If you like what we do here at Among Women, please promote this podcast in your social media circles, in your church bulletin, or leave a positive review and rating over on our iTunes page.